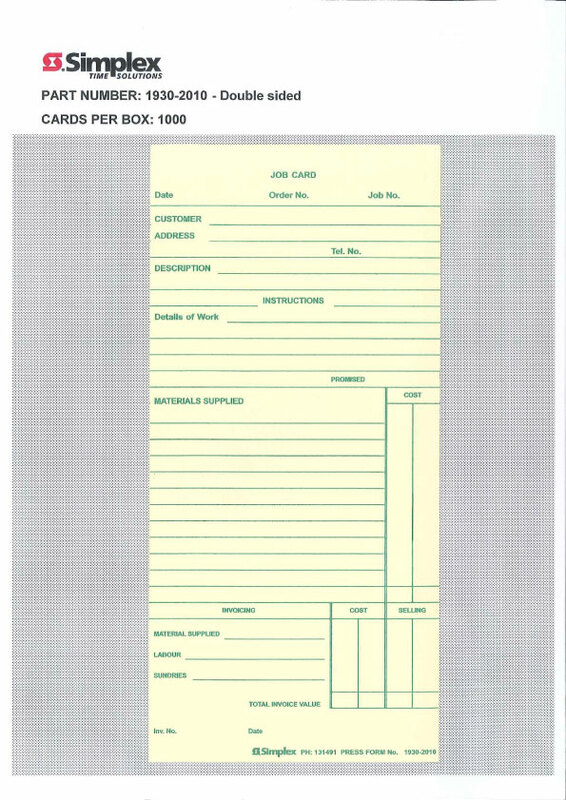 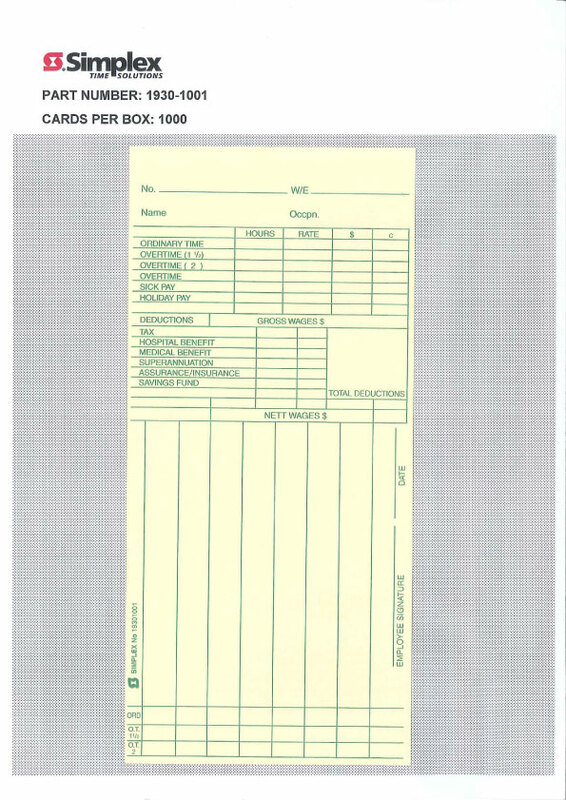 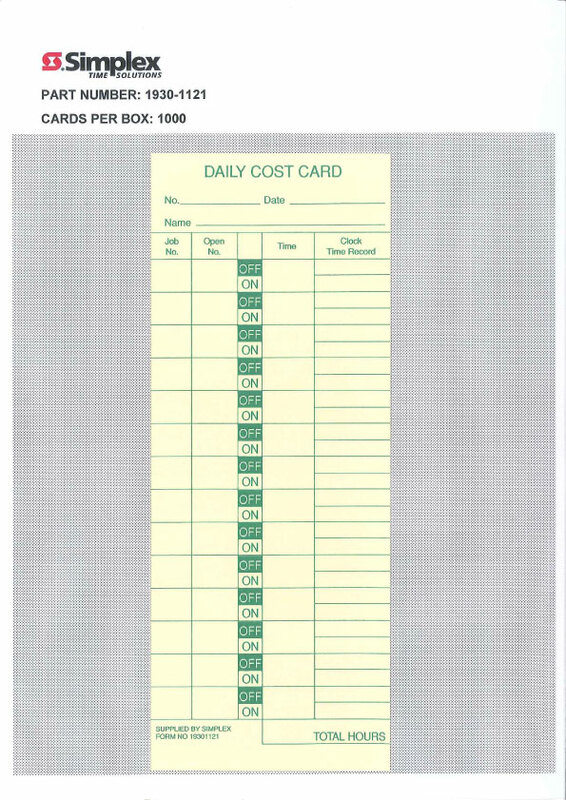 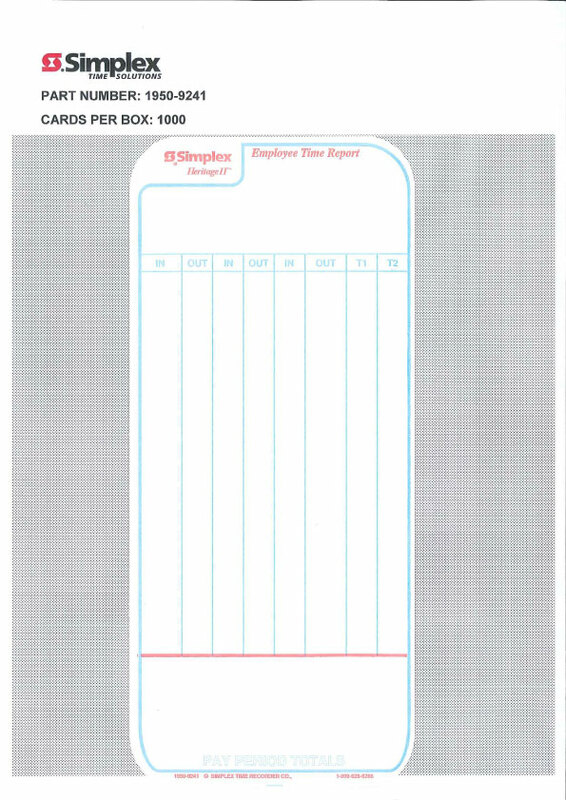 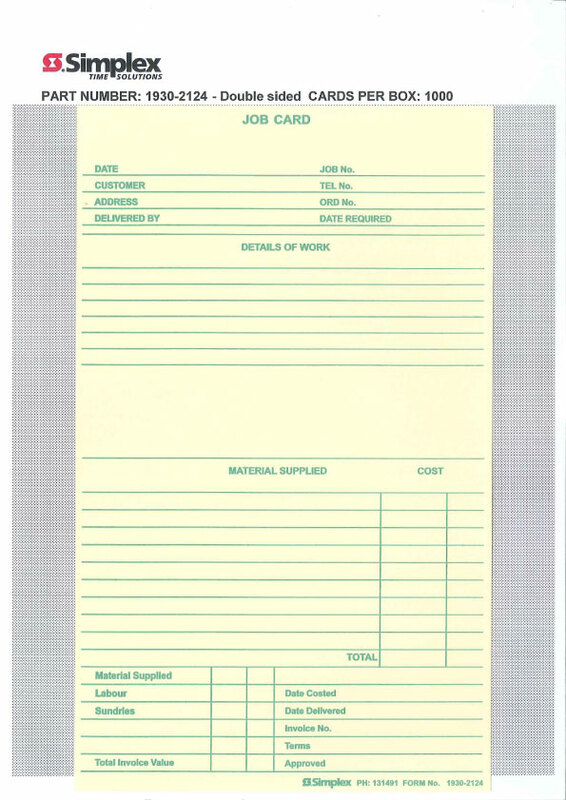 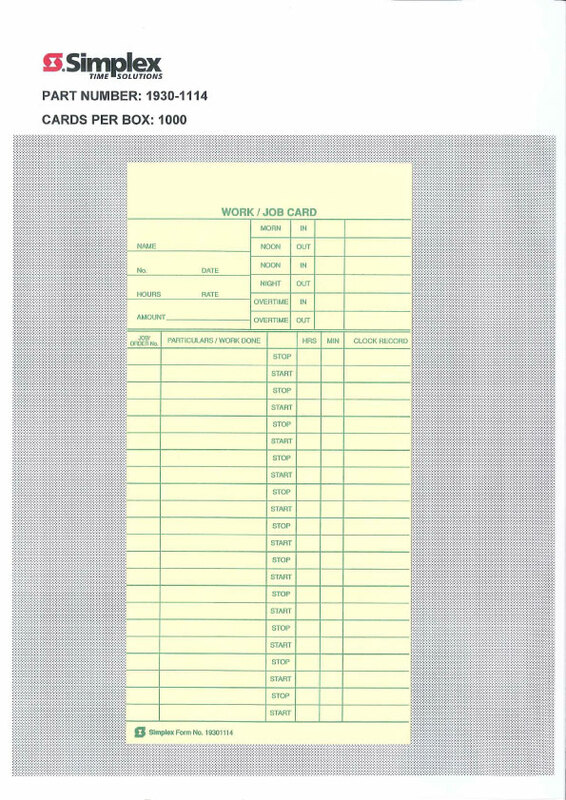 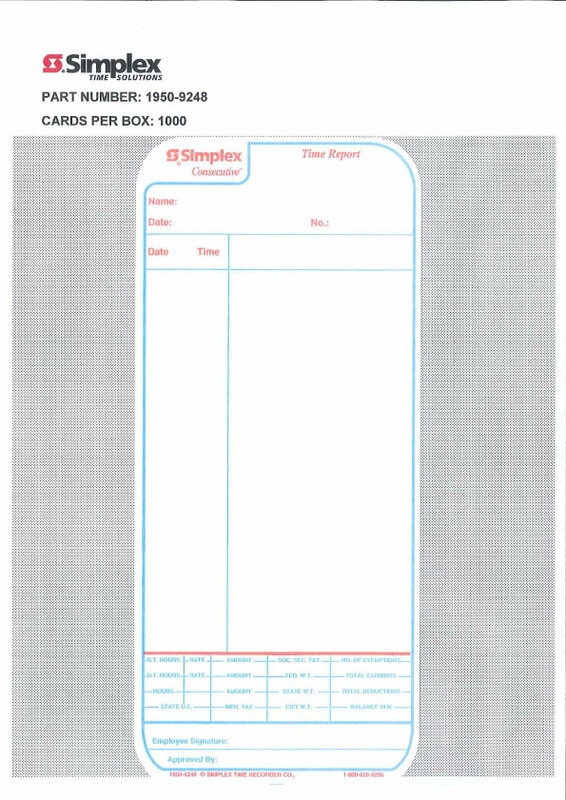 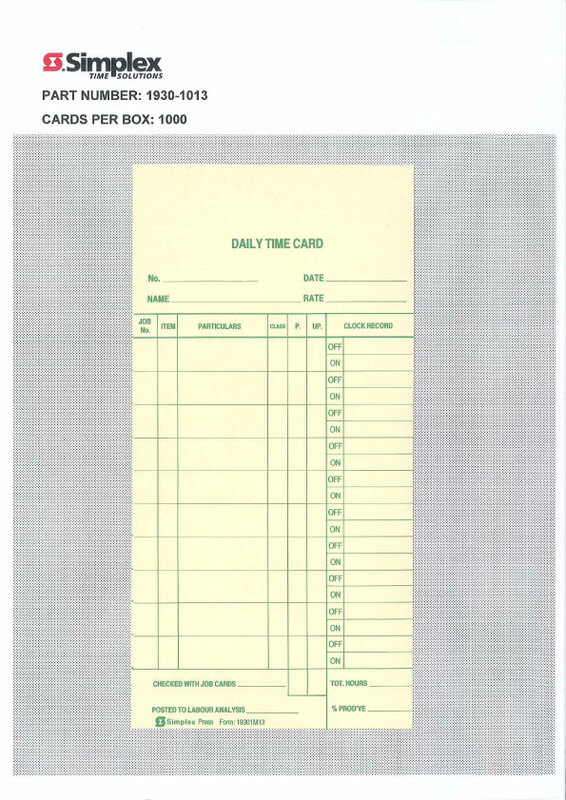 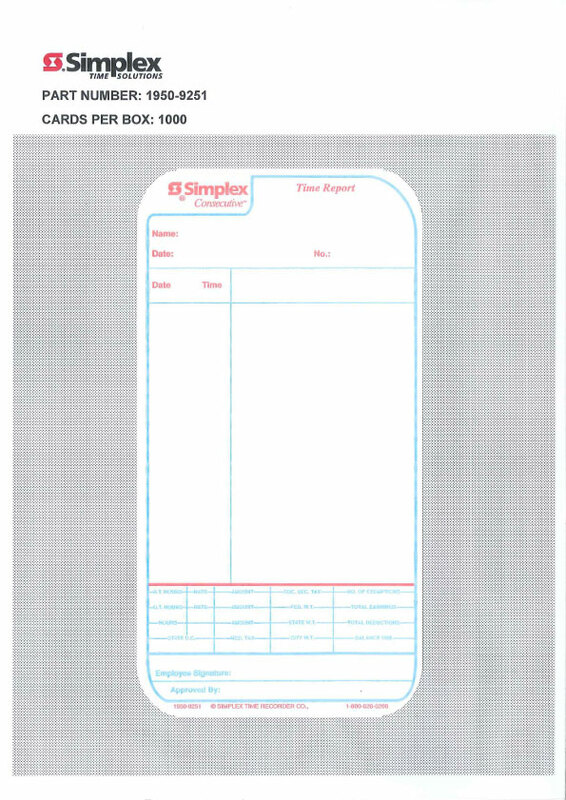 Simplex provide a complete range of of time cards to meet all your business requirements. 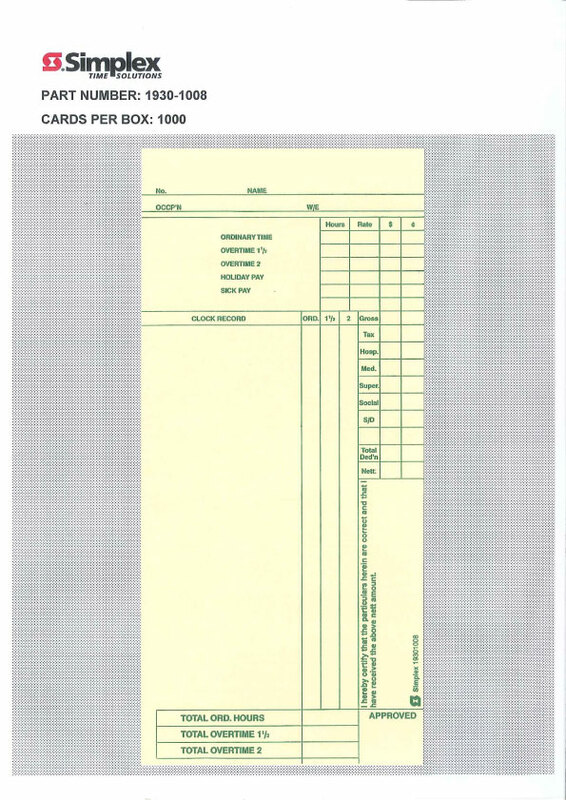 To order, simply call our customer support staff on 13 14 91 and they will assist with your inquiry. 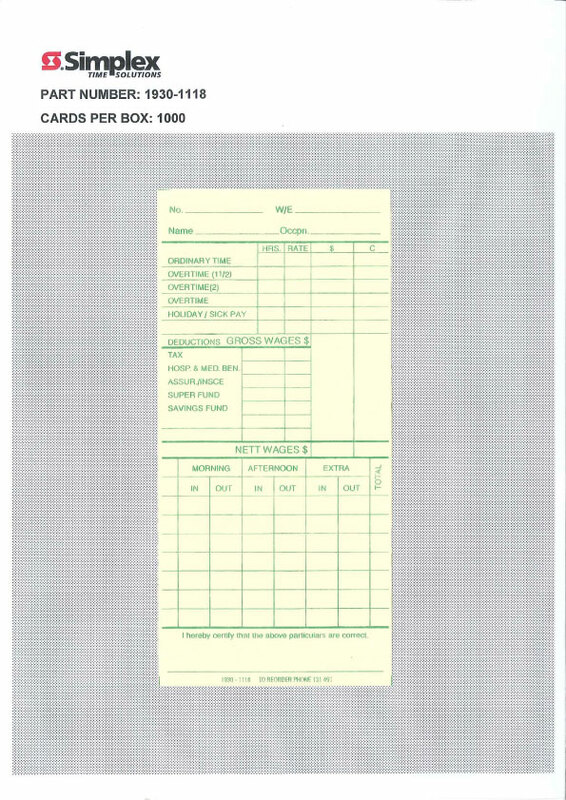 You may use the following part number reference guide to aid your phone order. 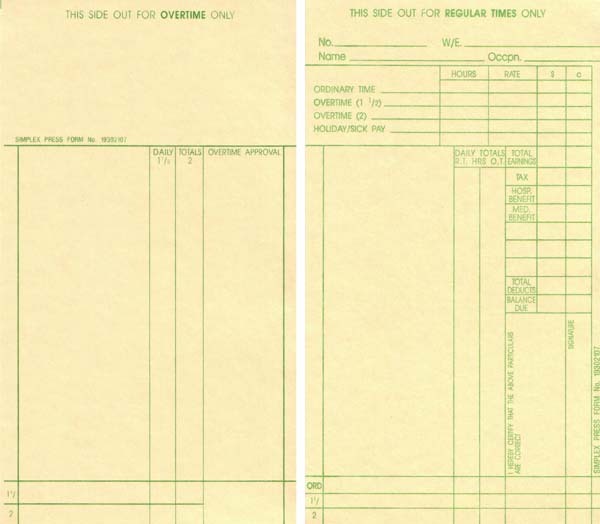 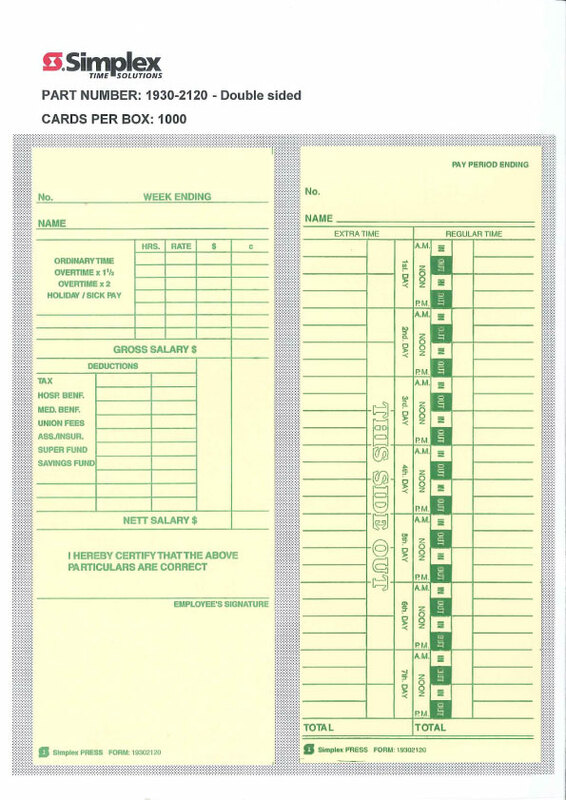 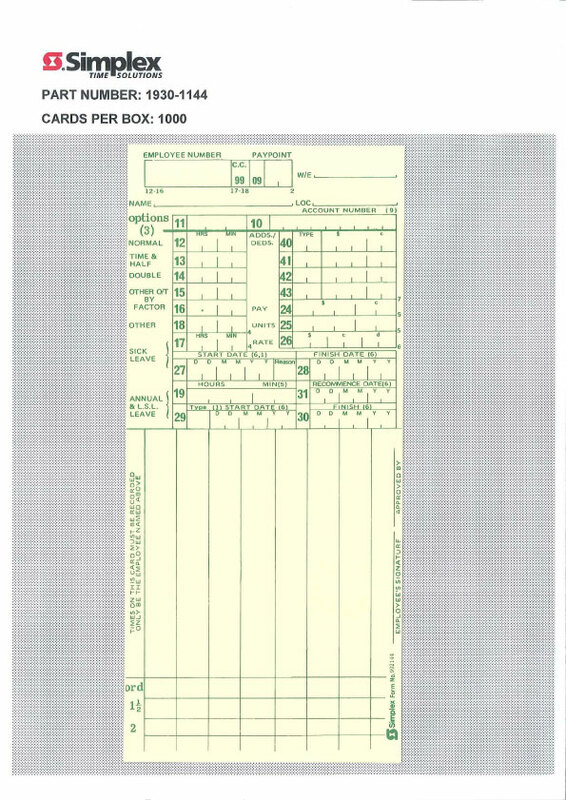 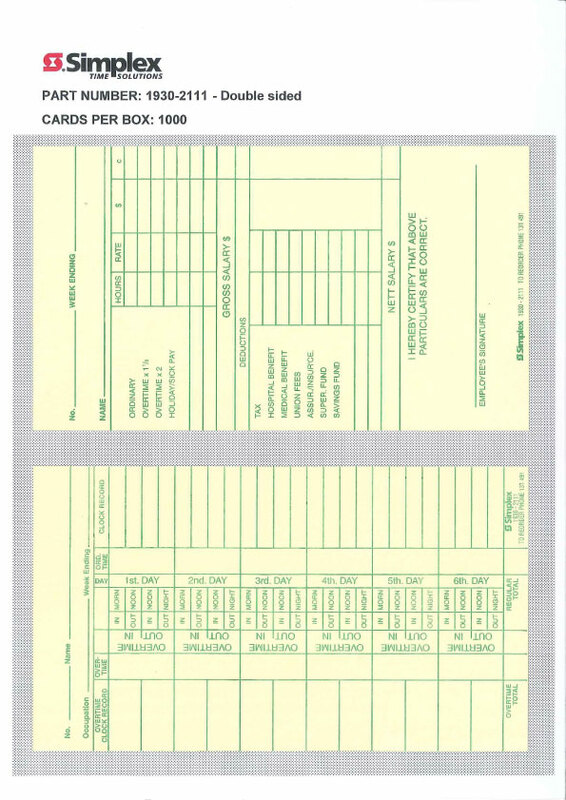 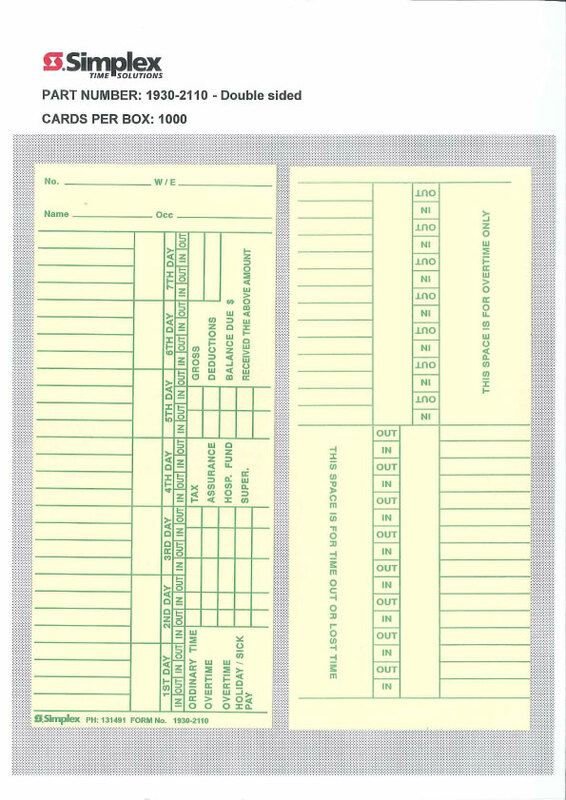 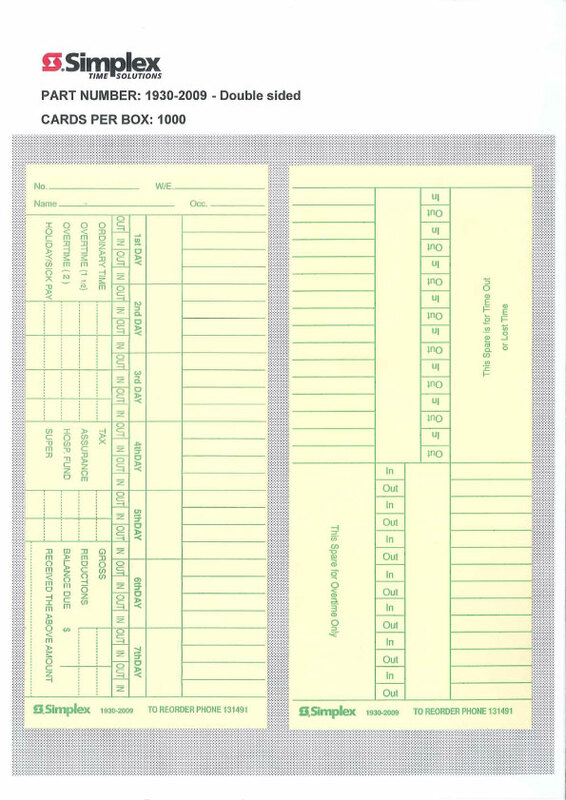 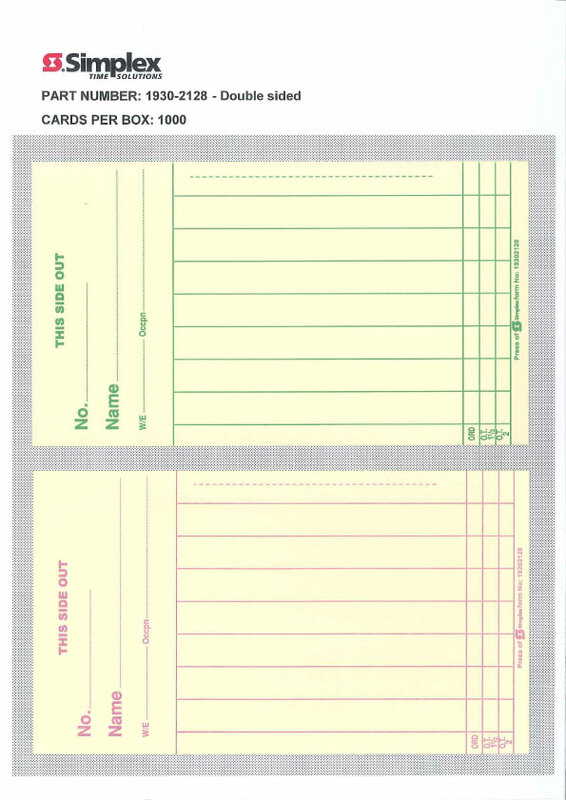 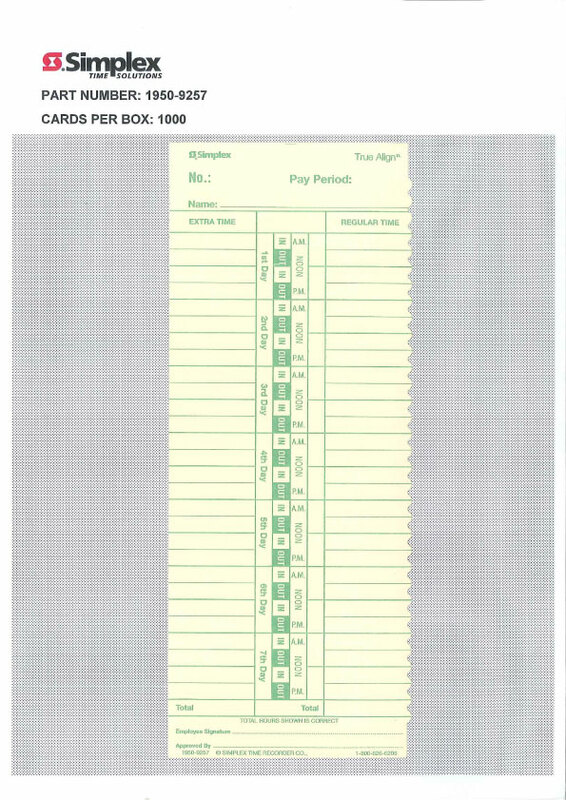 The Simplex time card number appears at the bottom of each card.